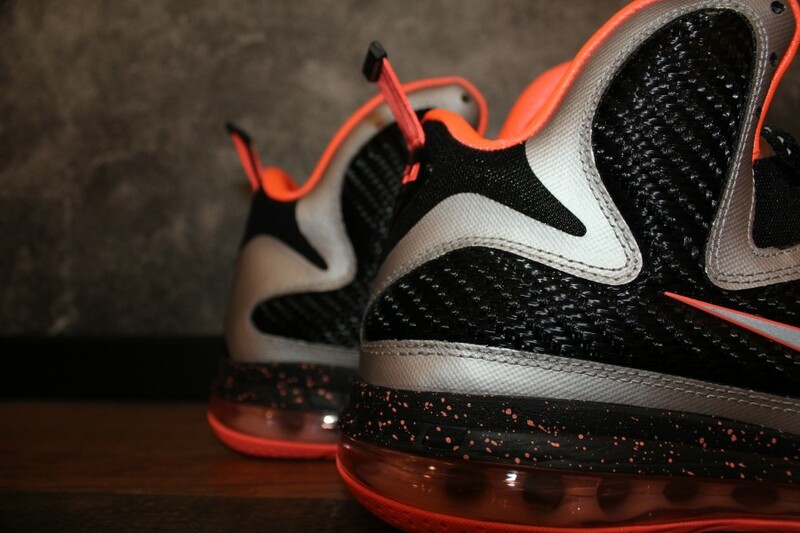 First previewed 'Bron several weeks ago, we now have our most detailed look yet at next month's release of the "Bright Mango" LeBron 9. 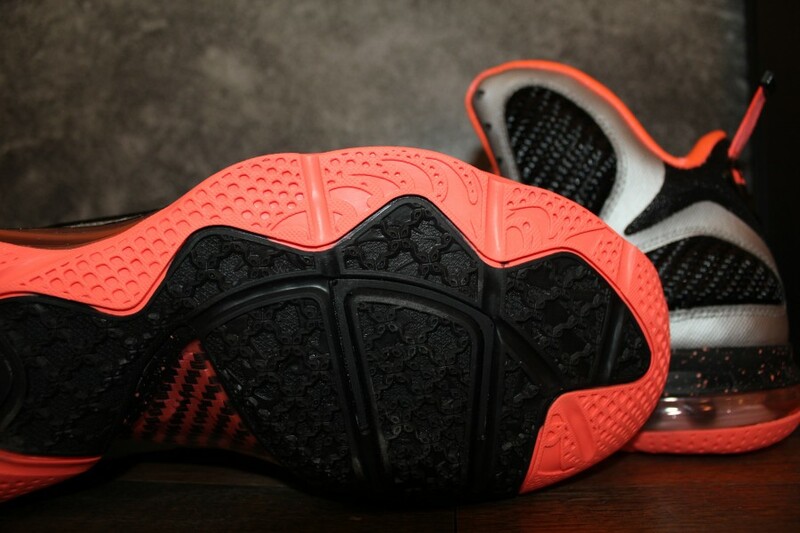 First previewed by 'Bron several weeks ago, we now have our most detailed look yet at next month's release of the "Bright Mango" LeBron 9. Providing fans with a refreshing color scheme, the Nike Basketball team hit LeBron's latest signature shoe with a combination of black, silver and a vibrant red hue. 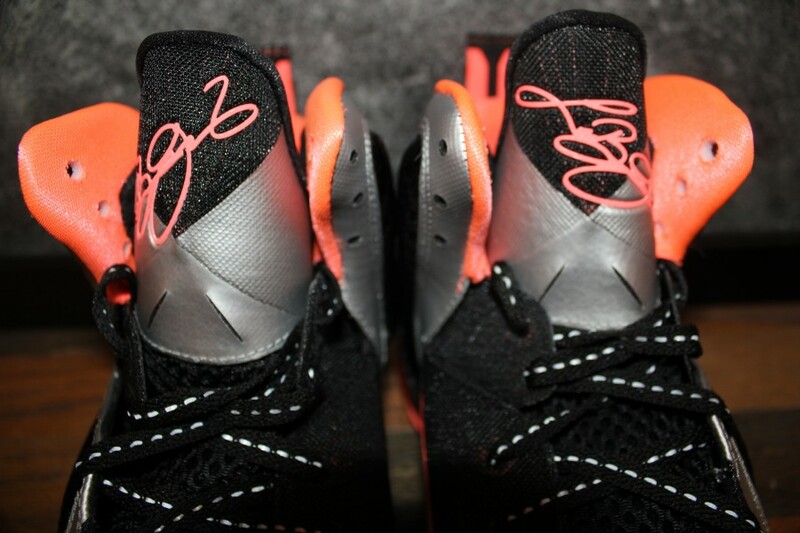 Black and metallic silver build most of the upper on these 'Brons, while bright mango catches our attention along the liner, swoosh outline, tongue signature, midsole splatter and outsole down below. 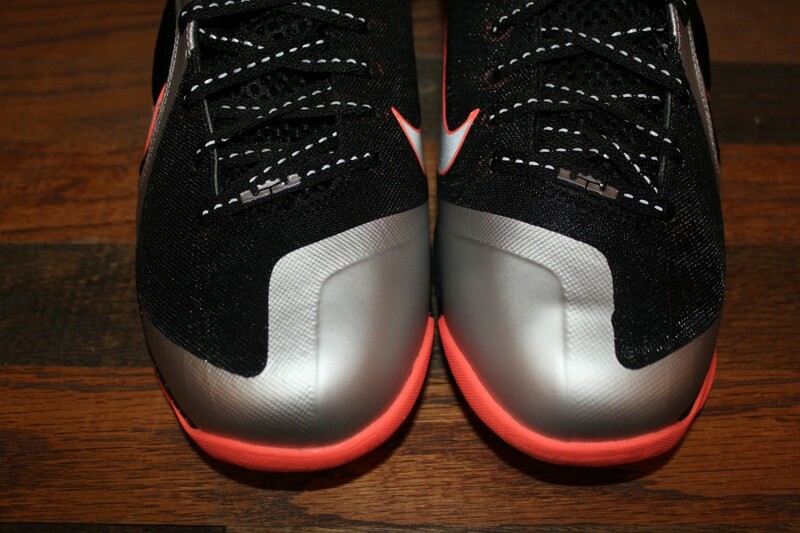 Hits of 3M take these over the top, seen on the Swoosh and laces. 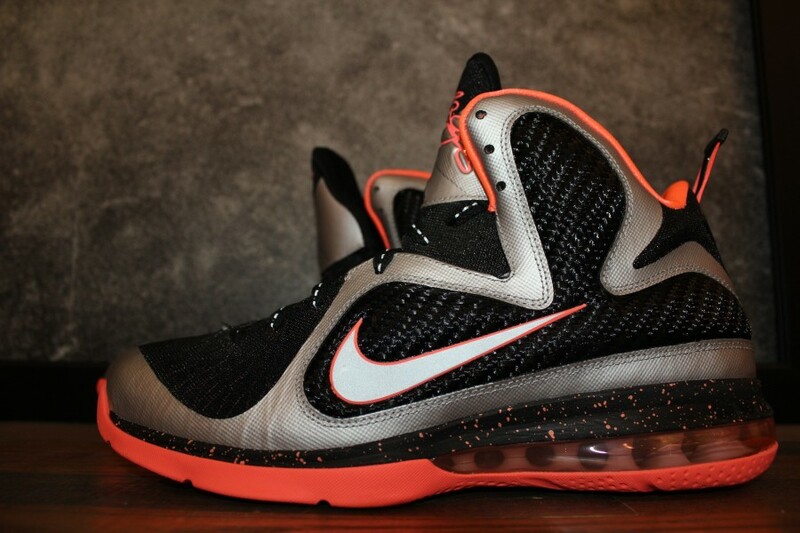 The "Bright Mango" Nike LeBron 9 is scheduled to release March 2nd at select Nike Basketball retailers.